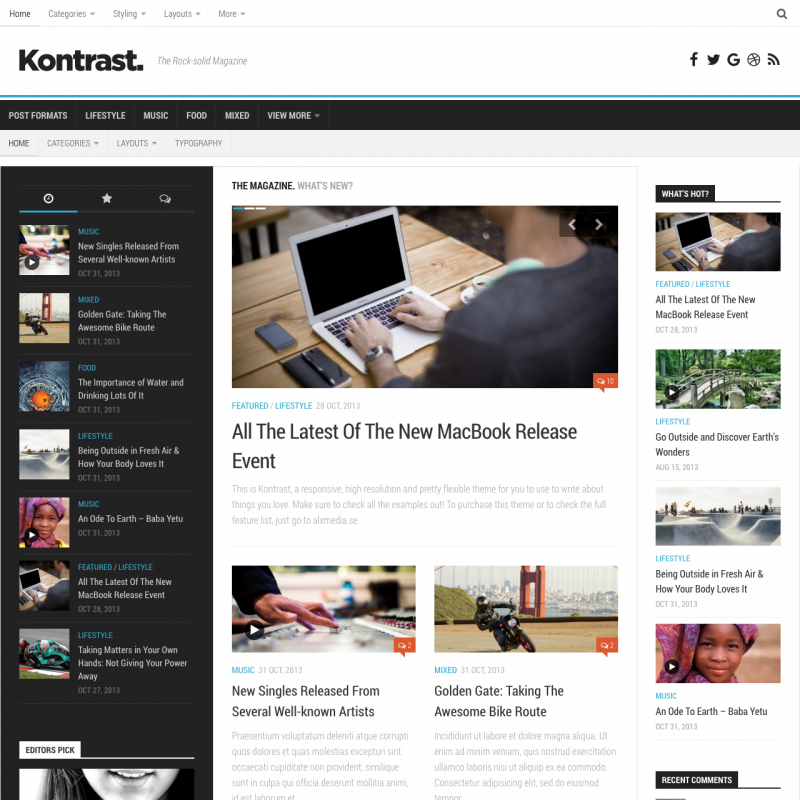 Kontrast theme translations are maintained by the WordPress community. 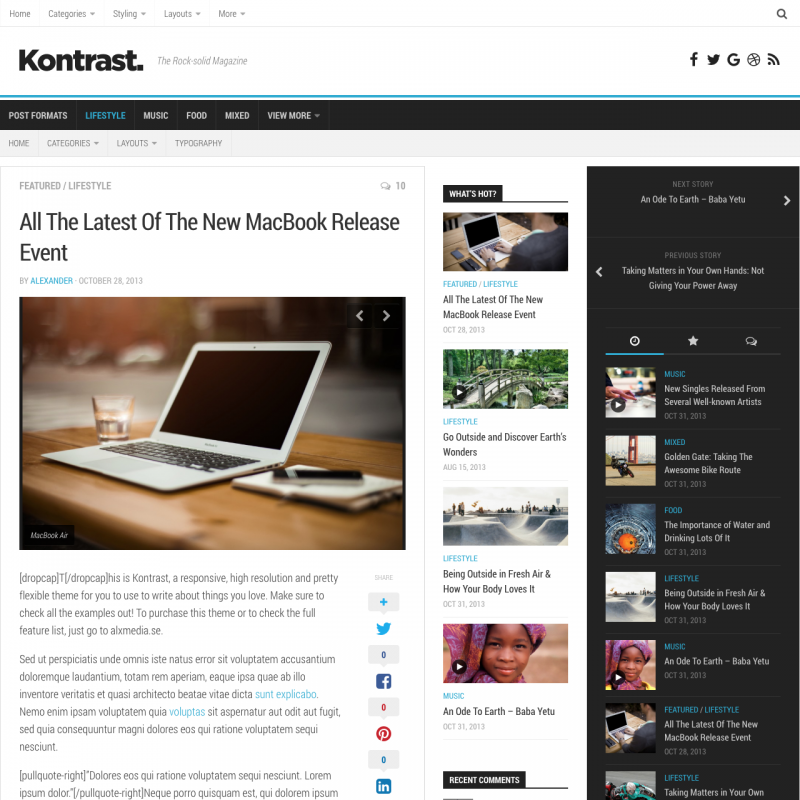 Kontrast is a high-quality WordPress theme for any magazines and blogs. 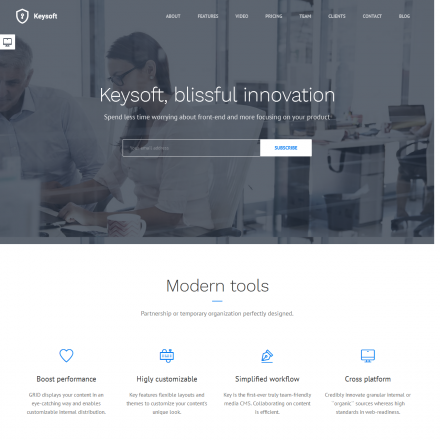 The theme is perfect for sites about technology and business. The theme is rich in settings. 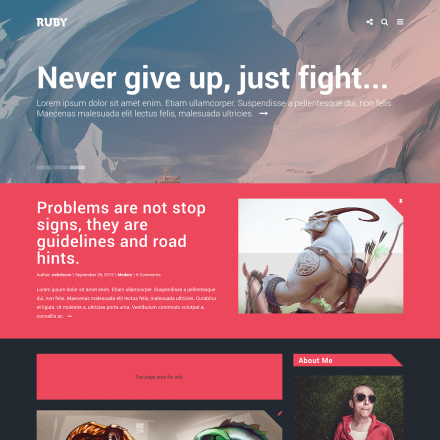 You can customize colors, fonts, use one or two sidebars, select their position, or disable them for each page or post. The width of the sidebars is fixed (300px / 220px), you can use from zero to four widget columns in footer. 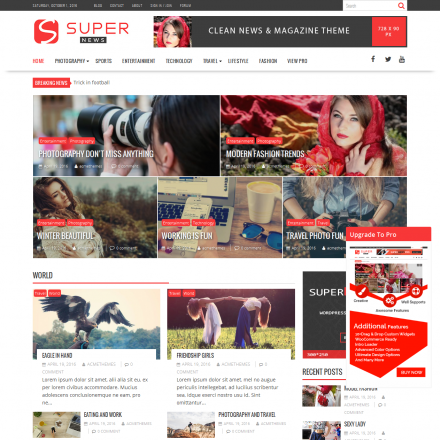 The theme supports video, audio, gallery post formats. Contrast dark sidebar can be changed to light. For single posts you can enable related posts block, author bio and navigation between posts. You can choose the maximin site width, enable the slider or featured story block on the homepage, and use many other settings.